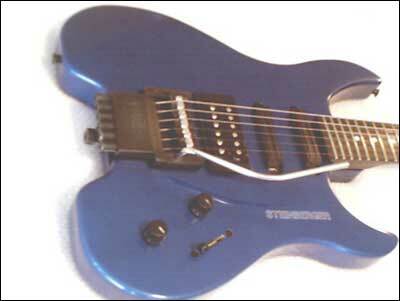 Even though the economical P series was not entirely successful in its goal to combine Steinberger technology and reasonable prices, the company did not give up on the idea of an affordable graphite neck / wood bodied instrument. 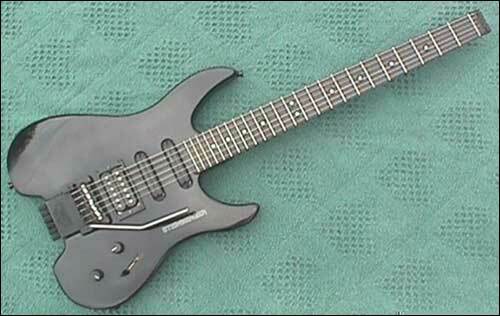 In '88 the company tried again with R series guitar. Only offered as a guitar version, the R series featured a traditional strat style hard maple body. It was a more basic interpretation than the GM, and was finished with basic body colors (black, white, red, blue). Also the omission of the body binding (like on the GM), fancy tops and custom colors helped keep the overall cost down. By far the biggest departure was the tremolo. The GR featured the newly designed R-Trem, Ned's first version of a common knife edge bridge (just like a Kahler, Floyd Rose, etc.). This less complicated design eased the price of a major component. This allowed the company to provide a quality graphite neck guitar yet still keep the prices down. The R's were outfitted with mostly passive electronics. And in yet another departure from the usual fare, Seymour Duncan passive pickups were standard. They were almost entirely found in a 4 (hum-single-single) configuration: a standard sized humbucker near the bridge usually paired with two Hot Rails humbuckers. Later Nashville produced guitars changed to mahogany bodies. That's the hardwood MusicYo is offering them with again, this time with the new M/S Blend™ neck. They're also offering them in both solid and translucent colors as well. 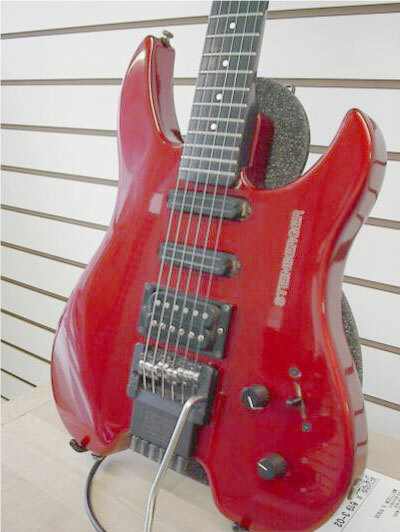 All of the other specific features (R-Trem, Seymour Duncan pickups) remain the same.